This was our first-ever “general public” LTE Bridge event. 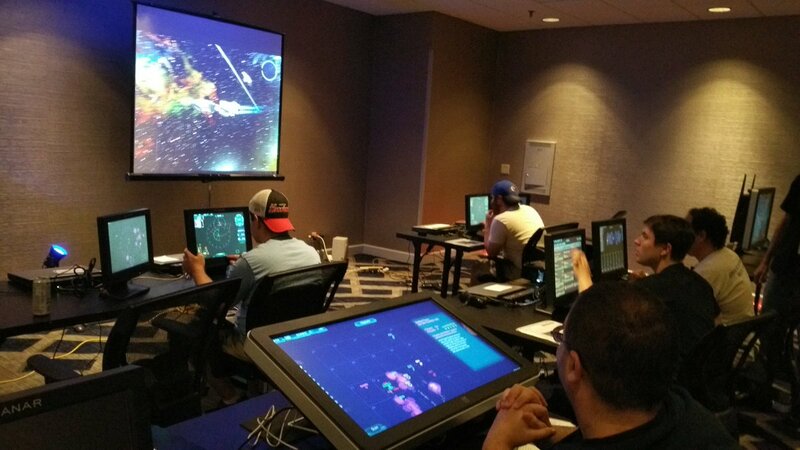 We attended the Southern-Fried Gameroom Expo in Atlanta on June 10-12, 2016. Scheme: 30 minutes per mission, set to Siege mode with “Few/Some” of just about everything, with slight tweaks depending on the crew experience. Difficulty got up to 5 or so. Quick take: Artemis was very well-received! 30 minutes was just enough time to get a taste, and there were many “repeat customers” who played multiple missions. The room was perfectly sized, though the location may have reduced the “walk-in/impulse” traffic because it was not near the main game floor or arcade room. We had all ages play, 8 years on up. Definitely will do again!